Wonderful jewel, delivered on time and great support! I was a bit worried about ordering jewellery online (my first time). After some research and comparing sites I eventually settled on Baunat. And I certainly wasn’t sorry that I did. Good personal service through regular contact with the responsible person makes you feel safer. Everything went very smoothly from searching to the ordering and finally the delivery of the jewellery. I recommend them to everyone and will certainly return for future purchases. Recommended! Impeccable quality, very pleasant service, responsiveness in the exchanges. Women love diamond rings. 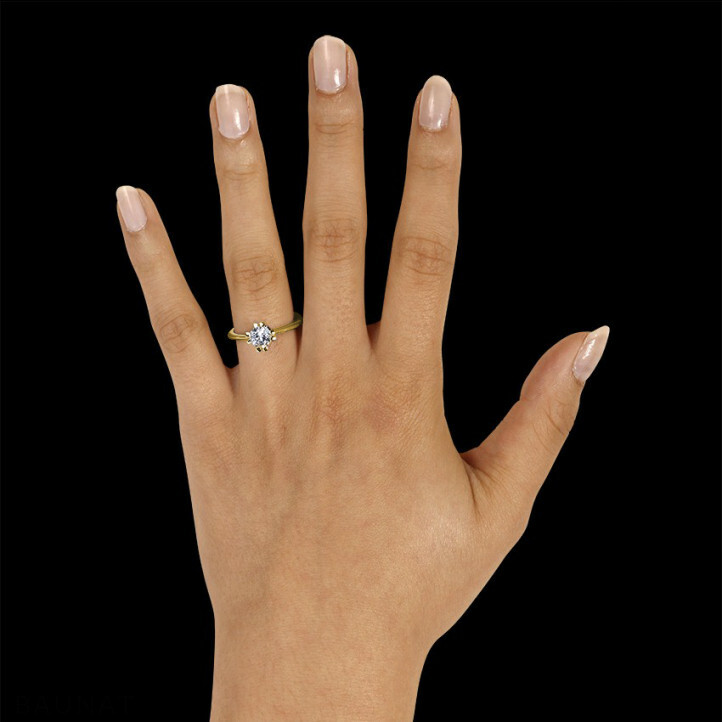 Most of them own next to their engagement- and wedding ring a number of other models. We at BAUNAT have an extensive diamond rings collection. If you have any questions about a specific model, do not hesitate to contact us.